The Varsarambha ceremony for the session 2017-2018 started with a naamkirtan on 25th April, 2017 in the Vidyalaya premise. Elaborate arrangements have been made to observe the kirtan in a grand way. The traditional naamkirtan is observed here every year on the first day of the session to have a auspicious beginning. The kirtan began at 10:45 am and ended at 1:30 pm. This ritual is traditionally observed with religious enthusiasm by the teachers, students and non teaching staff for the well being of the school and good academic performance of the students. 14 Bhakats and 3 Bhakatani (Aai) graced the kirtan from a nearby namghar. 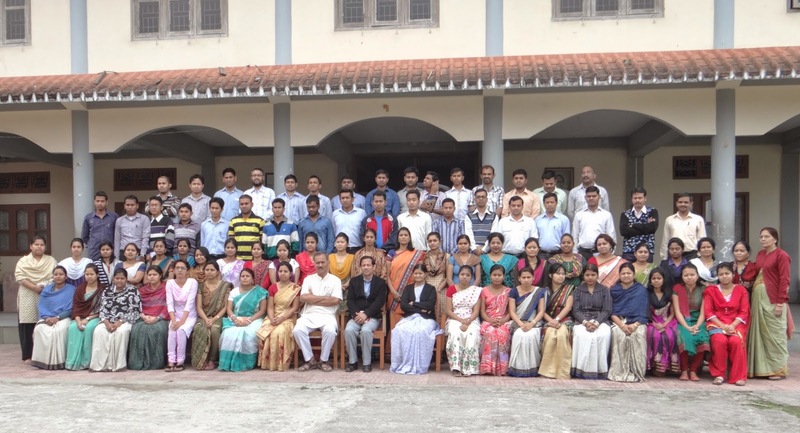 Approximately 900 students were present in the programme.